For autumn/winter 2015, New Balance have dug deep into their archives once again, and this time they’ve brought back the New Balance 575 in it’s original form. 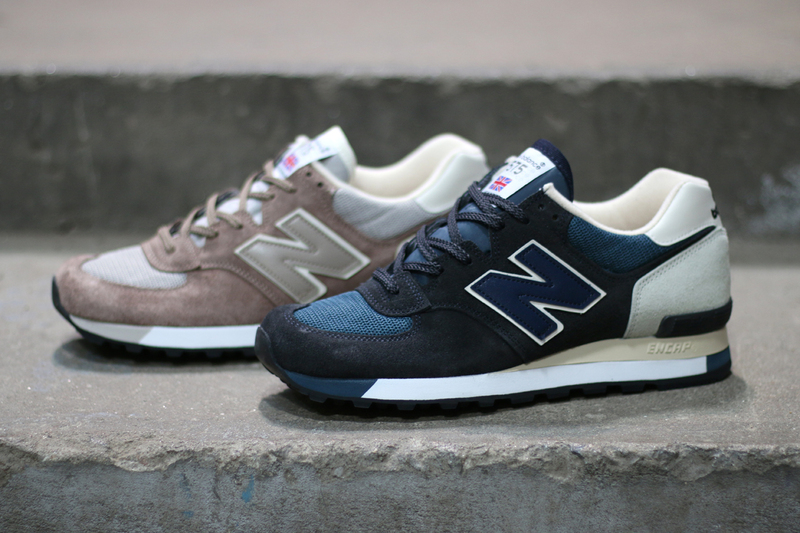 As the number system goes, the New Balance 575 slots right in between the existing 574 and 576 and we’re really happy with how this reissue turned out. 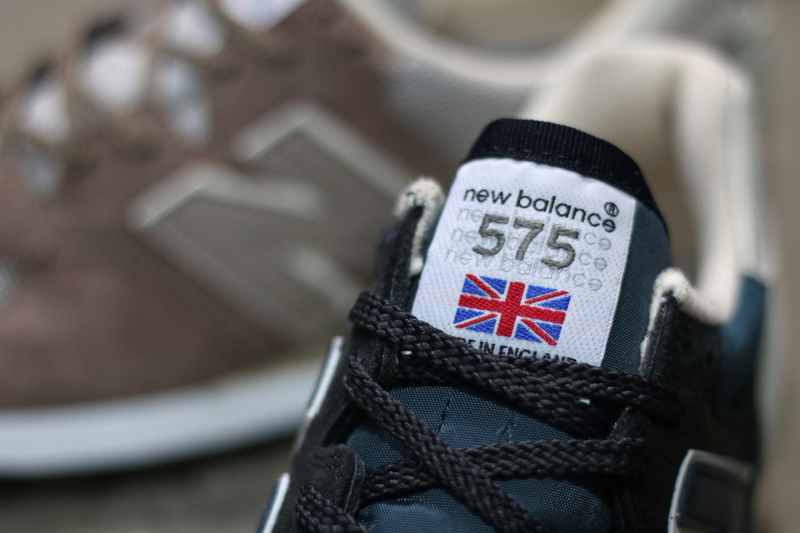 The first drop of the New Balance 575 sees two colourways, both of which are Made in the UK at the famous Flimby factory, and in typical New Balance fashion, one of them is navy! 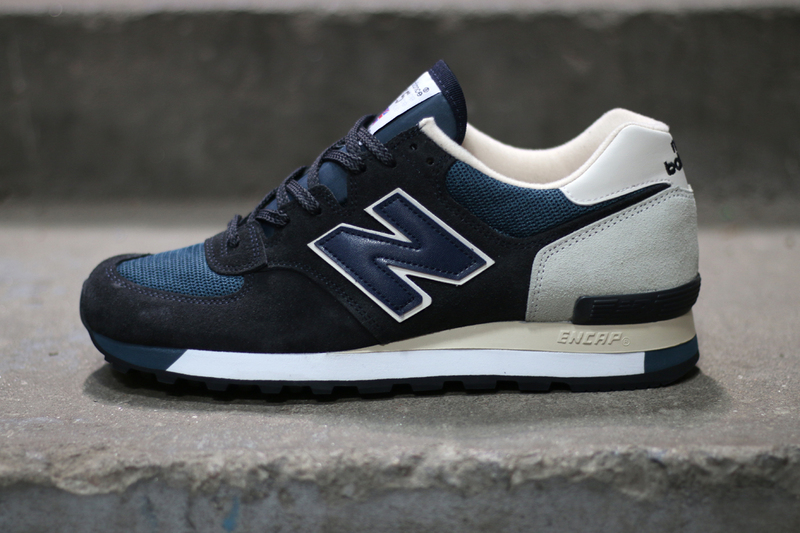 The New Balance 575SNG comes in a lush navy suede and mesh upper, with a very light cream coloured heel wrap which adds some nice contrast to the upper. The upper sits on a Encap midsole which has navy sections at the fore foot and rear, and an off-white Encap section. 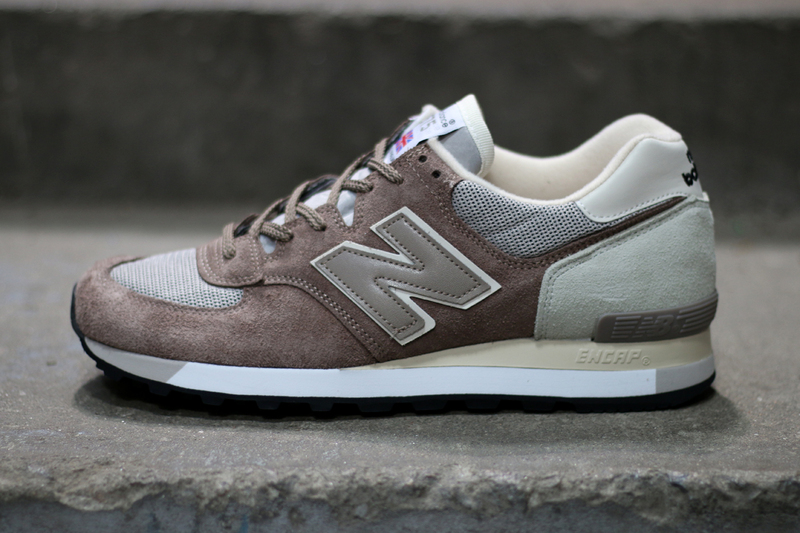 The second colourway is the New Balance 575SGG, and it comes in a lush beige suede and mesh upper, with the same light cream coloured heel wrap as on the 575SNG. The upper sits on a Encap midsole which has beige sections at the fore foot and rear, and an off-white Encap section. We are excited to see what other colourways are to come of the New Balance 575, and with every reissue, there’s usually always a collaboration, so fingers crossed that we’ll see someone work on this model.